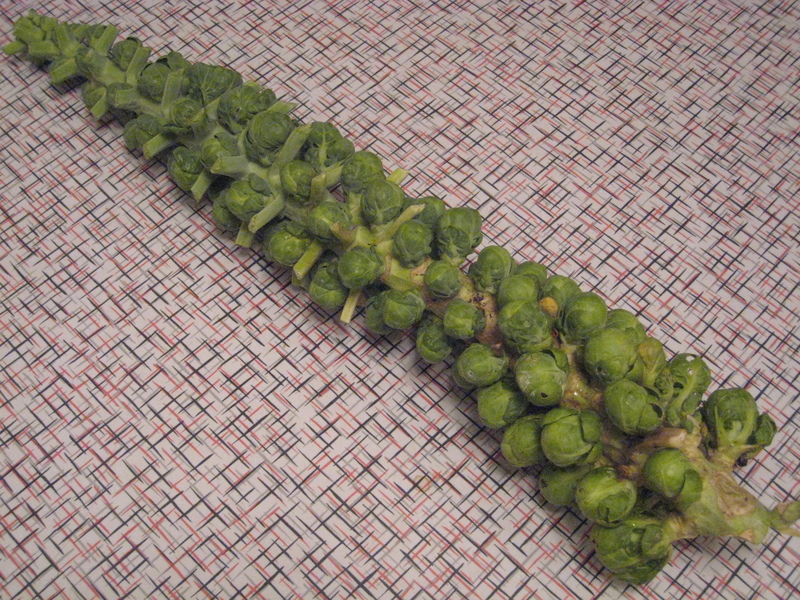 Today I cut down a stalk of brussels sprouts from my community garden plot. I was having friends over for dinner and I wanted to try out a new recipe. I know that not everyone loves brussels sprouts, and one of my friends wasn’t so sure about trying them. She was won over after the first bite. Searing the sprouts on high heat caramelizes them, and you don’t get that unpleasant odour and taste that made you hate them as a kid (or an adult). Plus bacon makes everything taste great! You can easily make these a vegetarian version by omitting the bacon and adding a little extra salt. 1. 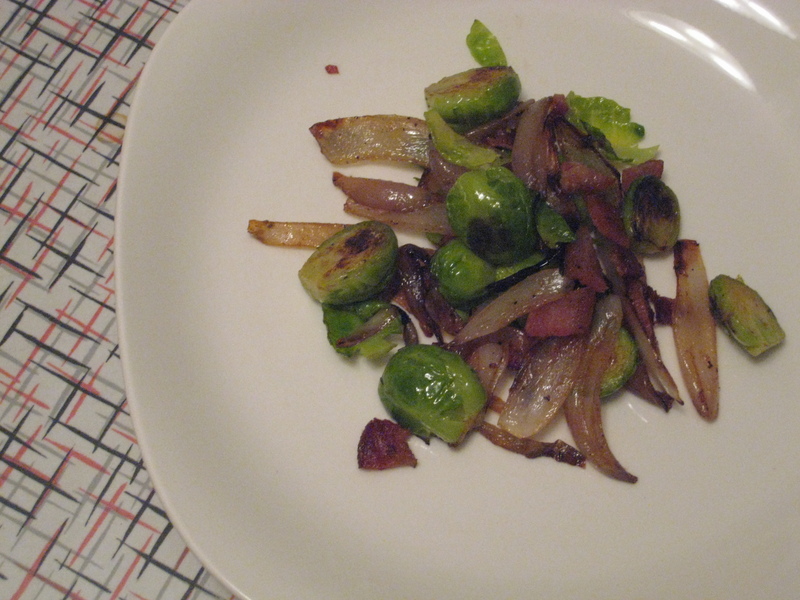 Cut the ends off the brussels sprouts , then cut them in half. Remove any extra leaves. 2. Cook the bacon in a frying pan until crispy, then remove from the pan and cut or break into small pieces. Leave a little bacon fat in the pan. 3. On medium heat toss in the shallots. Lower the heat and cook them until they are brown and caramelized. 4. Add a little butter, olive oil or a touch of the bacon fat to the pan and turn on high heat. 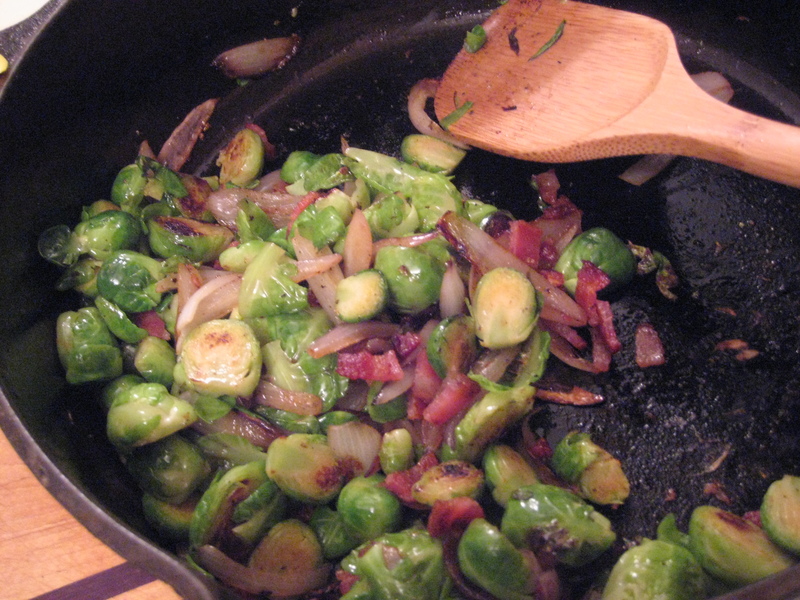 When the pan is hot, add the sprouts, cut side down. Stir a few times throughout the cooking, and cook until they are quite browned and soft enough for a sharp knife to pierce them. 5. Toss in the diced bacon, add salt and pepper to taste, and serve hot.